The Academy Workshop starts at 08:30 and includes breakfast. In this Academy our Multinational experts Stephen Morton and Christina Odelind will present the fundamental pillars for a successful Multinational insurance program. When do you need a local policy? The course is tailor-made to also be of value to experienced risk/insurance managers handling multinational insurance programs. Stephen has over 20 years’ experience in the global insurance and reinsurance industry and has been with AIG since 2003. His AIG career started in the Bermuda office, followed by Paris, then London and he is now back in Paris again. 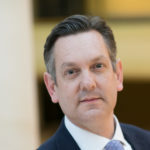 In his current role, he is responsible for the design and service delivery of multinational insurance programmes, with or without a captive, for multinational businesses with headquarters in Europe (excluding UK). He is a Fellow of the Chartered Insurance Institute and a Chartered Insurer. Christina is working in the Nordic multinational team at AIG in Stockholm. The Nordic team is responsible for setting up multinational insurance programs with local policies and be of guidance and support to the stakeholders involved. Throughout the years Christina has gained a great knowledge and experience in how to work with multinational insurance programs with local polices around the world and how to deal with the complexity within this area. Christina joined AIG in 2004 and has mainly worked with multinational business since then, except for a short period when she worked as an Marine underwriter at AIG. Bokningen för detta event är stängd eller kräver att du är inloggad.